Have you seen this missing hiker--or were you traveling in Kings Canyon National Park near Roads End in Cedar Grove, Gardiner Basin, or Gardiner Pass from August 10-17? INTENDED ITINERARY: Kings Canyon National Park--Traveling from Roads End in Cedar Grove to Gardiner Basin via Gardiner Pass. After several days, out Gardiner Creek to Woods Creek to Roads End in Cedar Grove. IDENTIFYING FEATURES: Big beard, bright blue shirt, green wool pants, black boots, and blue bandana. Red internal frame pack and blue tarp or possible orange tent. Will have fishing gear. HAVE YOU SEEN HIM OR HAVE BEEN IN THIS AREA FROM AUG. 10-17? Call Sequoia and Kings Canyon National Parks at 559-565-3118, OR 888-677-2746 with your name, contact info, and additional details. Here's a map of the area centered on Mt Gardiner. I have hiked down the Charlotte Lake drainage, and it is a major bushwhack. Looking at his planned itinerary, it looked like he was planning on using the route marked "Location Approximate" on the map. I don't think any trail of any sort even exists there. In addition, looking at the map contours, his planned descent route looks treacherous. Nobody should go places like that alone without a SPOT. Since the National Park Service web interface is down, we are unable to post a news release electronically at this time. However, here is some additional information about the search for missing hiker Gregory Muck. On August 19, Sequoia and Kings Canyon National Parks' staff, in cooperation with Yosemite National Park (Yosemite Search and Rescue and its canine team-YODOGs) and the California Highway Patrol, searched for missing hiker Gregory Muck in Kings Canyon National Park. 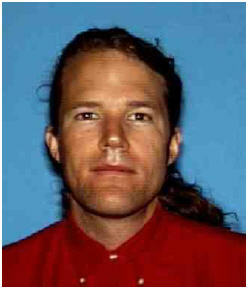 The 46-year-old male from Santa Cruz, CA, was reported overdue from a backpacking trip. See photo and flyer. *	August 19, 2014: A total of 55 staff and partners searched by ground and helicopter, conducted interviews, and planned for the next day's operation. *	August 18, 2014: A total of 21 park staff searched by ground, conducted interviews, and planned for the next day's operation. In addition, parks' staff handled two other search-and-rescue incidents. How was the park notified of the missing hiker? On August 18, 2014, at approximately 8:00 a.m., Sequoia and Kings Canyon National Parks' Dispatch Office was notified of the missing hiker via a phone call from Muck's wife. Info has also been relayed to JMT Facebook and Yahoo groups. Sad to hear this. SAR teams have definitely had their hands full this season in the Sierra - unfortunately with too many recoveries versus rescues. That has to be tough on these men and women, many of which are volunteers. are in the process of recovering the body. Based on this recent development, the search for missing hiker Gregory Muck has been temporarily suspended pending identification of the body. SEKI SAR: Thank you so much for the work you do. We all rejoice with you in every rescue, and appreciate how much harder it is when its a recovery. Thanks. Thank you to everyone who helped us distribute information about this missing hiker... Here is information from a news release issued at approximately 10:30 p.m. on August 20. A body found by searchers in the area northwest of Mount Gardiner in Kings Canyon National Park on the afternoon of Wednesday, August 20, 2014, has been identified as missing hiker Gregory Muck. Muck appears to have fallen in rocky and steep terrain. The cause of the accident is under investigation. The body was transferred to the Fresno County Coroner's Office. A ground search team located the body in their assigned search area. Kings Canyon National Park. He planned to hike to Gardiner Basin via Gardiner Pass. After several days in the basin, he planned to hike out Gardiner Creek to the Woods Creek Trail and return to Roads End in Cedar Grove by August 17, 2014. On August 18, 2014, at approximately 8:00 a.m., Sequoia and Kings Canyon National Parks' Dispatch Office was notified of the missing hiker via a phone call from Muck's wife. recovery operations from August 18-20, 2014. Search efforts were led by Sequoia and Kings Canyon National Parks, with assistance from Yosemite National Park's Search and Rescue teams, Yosemite's search dog team-YODOGs, and the California Highway Patrol. August 20, 2014: A total of 61 staff and partners searched by ground and helicopter, conducted interviews, and completed recovery operations. August 19, 2014: A total of 55 staff and partners searched by ground and helicopter, conducted interviews, and planned for the next day's operation. August 18, 2014: A total of 21 parks' staff searched by ground, conducted interviews, and planned for the next day's operation. In addition, parks' staff handled two other search-and-rescue incidents. Generated in 0.082 seconds in which 0.073 seconds were spent on a total of 14 queries. Zlib compression disabled.